The most important thing is to have our professional team assist you when you need help with moisture control in Knoxville. Leaky pipes, flooding due to storm damage, and poorly sealed basements can all be problematic when it comes to moisture problems at your home or office in Knoxville, Tennessee. Luckily, when moisture becomes a problem, our caring, industry-trained and certified professionals at AdvantaClean of West Knoxville are on your side! Whether you need mold testing and mold remediation or water damage repair and sewage removal, we have the experience and the equipment needed to restore your living and working environments. When you leave moisture unattended, it can lead to unexpected problems for your home or business. Moisture control begins by determining the root of the problem and finding long-term solutions that give you peace of mind. At AdvantaClean of West Knoxville, we can assist you with this process. Was there a leaking pipe, but you decided it wasn't severe, and now you have discovered mold? Did you mean to seal your basement windows but you haven' t been able to complete the project and now you are noticing indoor air quality issues? 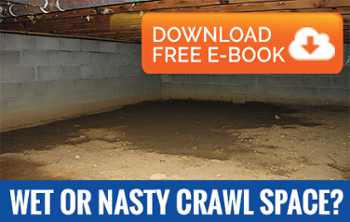 Moisture can get in just about anywhere, whether it is your basement or crawlspace or your air ducts and vents. The most important thing is to have our professional team assist you when you need help with moisture control. You don't have to allow moisture to take control of your home or office in Knoxville. Let our team assist you in determining the best course of action, clean your space, and provide long-term solutions that help you feel confident in your space. Your satisfaction is our top priority, and we are committed to providing the best service experience possible.